Mr. Ellsworth counsels clients to procure, protect, license and enforce intellectual property rights. Mr. Ellsworth works diligently to understand his client’s business and to leverage that understanding to achieve his client’s intellectual property goals in a turn-key and cost-efficient manner. 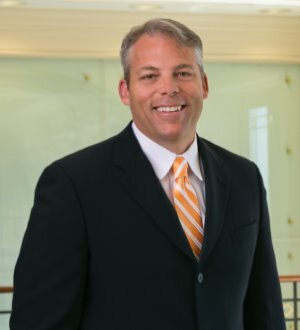 Mr. Ellsworth manages extensive domestic and international patent portfolios for several publicly traded companies and provides strategic counseling to a variety of smaller business concerns. He has considerable experience in drafting and prosecuting patent applications in cutting edge fields such as ecommerce, real-time location, mobile device applications, machine learning, big data, composite technologies, advanced printing technologies and RFID. Mr. Ellsworth also focuses on studying and managing patent risks through in-depth patent analysis, innovative product and process design, prior art studies and licensing. Mr. Ellsworth is adept at managing an array of transactions involving intellectual property portfolios. Indeed, he has successfully performed due diligence for and negotiated the acquisition of numerous patent portfolios, ranging from a relatively few standard essential patent families to vast portfolios composed of thousands of patent assets.